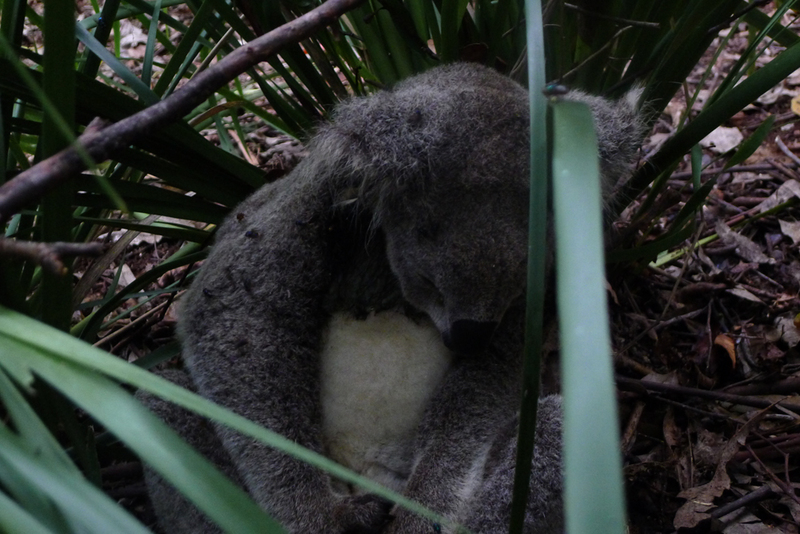 On January 2nd, a lone koala was sitting next to the hen-house beneath a lomandra plant. Obviously ill and when I attempted to inspect it’s body for injury, it screamed in pain. Flies were already settling around its face. After a droplet of water or two from a syringe, it died a few hours later at mid-night. Before its funeral, I searched its body for injury, initially thinking it could have been attacked by a dog. No evidence of bites or fur removal. But there was a dark staining around its hind leg with an abrasion restricted to one small area. Other ways, it looked well nourished and its fur was not dull. 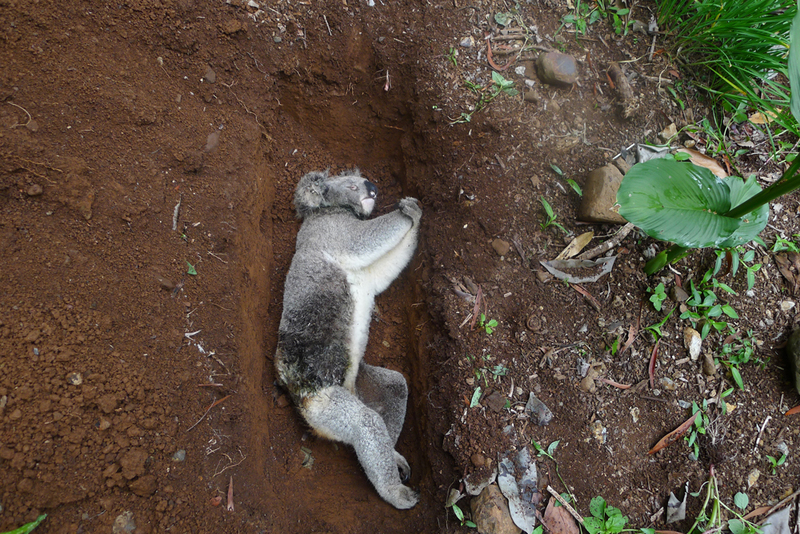 If any-one has any knowledge as to what could have caused this koala’s demise……… please e-mail me at chemfreeregen@gmail.com.